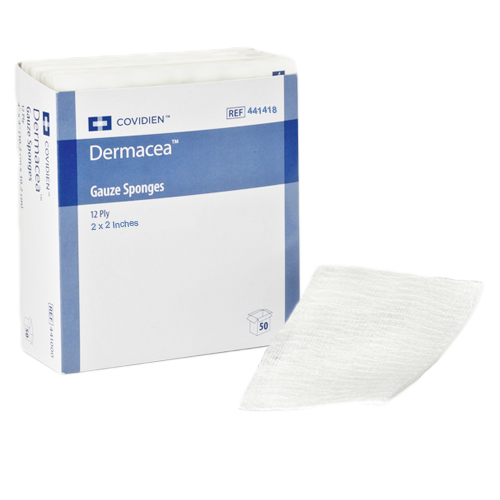 The Covidien 441218 Dermacea 2 x 2 Inch Gauze Sponge, 12 Ply is used to absorb blood or other bodily fluids, as well as aiding in the healing of exuding wounds. They are made from non-woven, highly absorbent cotton, and are latex free. 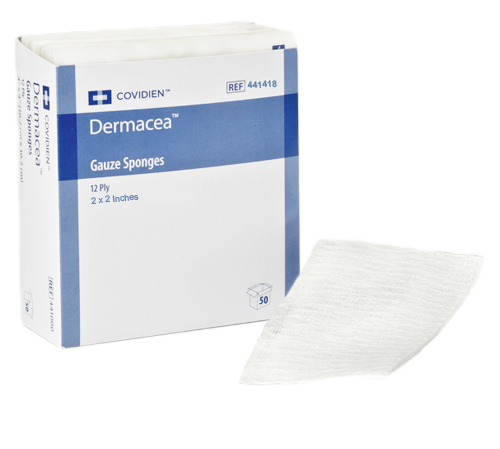 This gauze dressing assists with the wicking of fluids, which helps prevent maceration of skin tissue.